It’s a scary time to be an immigrant in America; although the Trump White House’s loudest rhetoric about the “dangers” of illegal immigration has died down from its early-2017 peak to a low, still very scary roar, the Department Of Homeland Security’s ICE agency continues to work largely unabated in its efforts to arrest and deport. The fear and confusion of such an arrest—being accosted on the street by unidentified strangers, detained for hours without being able to contact anyone, and living under the specter of being separated from your family—can only be exacerbated by the existence of language barriers. So it’s reassuring to see someone like comedian and actor Kumail Nanjiani pitch in to help members of immigrant communities get informed about what to do if ICE comes knocking. 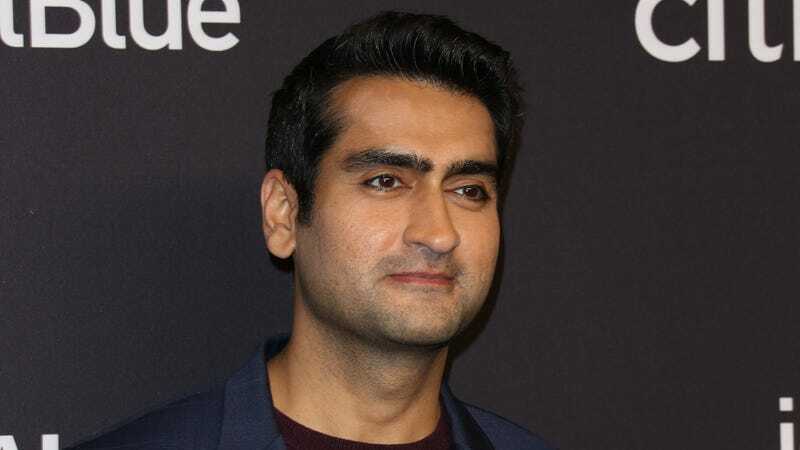 The Silicon Valley star posted a tweet this week drawing attention to his work with the ACLU and Brooklyn Defender Services on their We Have Rights campaign, which hopes to inform people, in clear, simple language, of their options in a number of immigration-related scenarios. Nanjiani lent his voice to the program’s videos in Urdu, the official language of his native country of Pakistan. The site also currently offers the same information, including advice about emergency plans, and how to request a lawyer during an ICE arrest, in Spanish, Arabic, Mandarin, Haitian Creole, and Russian. You can watch all of the videos, including the ones featuring Nanjiani’s voice, at the campaign’s home page.